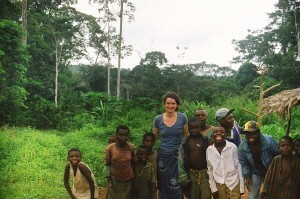 Sonja Kandels’ singing style and her idea of creating The Power Of Voice project are based on childhood experiences in Africa. With her parents working for foreign aid projects, she spent the first twelve years in Niger and Cameroon. There, she developed a great curiosity for African tradition and above all a strong devotion to the music of the Pygmies. 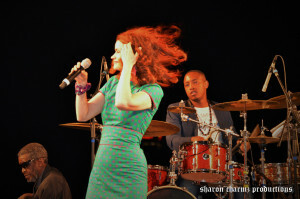 After studying arts and jazz music in Germany, Sonja began performing as a jazz singer. For her musical projects and workshops, she has been granted several scholarships from the German government, some of which led her back to Africa in order to work with musicians in Senegal and Cameroon or to study the Baka Pygmies in the rain forest between Cameroon and Congo. Today, her artistic work as a singer and bandleader is a multifaceted, dynamic fusion of African music and modern jazz, far beyond stereotypical folklore or drumming groups. 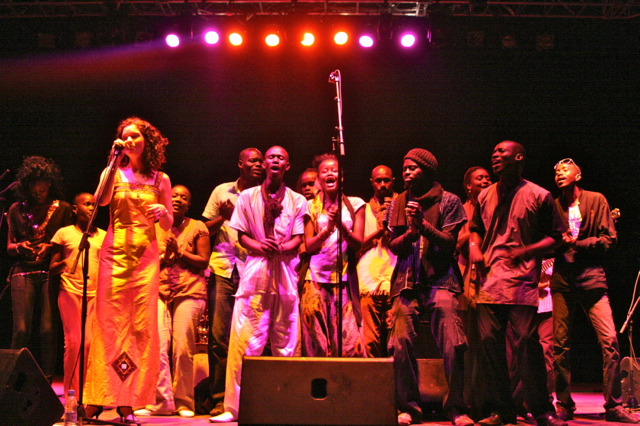 Sonja recorded two CDs with Minor Music Records, “God Of Laughter” and “Fortunes Arrive”, featuring African musicians such as Felix Sabal-Lecco, Guillaume Juramie, Baba Gallé Kanté, Samba Sock, and Aly Keita. A new recording “Pygmyzonia” is in preparation. 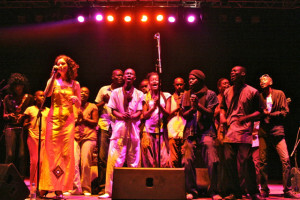 In 2006, Sonja Kandels was granted a governmental stipend for her newly founded Euro-African choir project The Power Of Voice. Since then, she has been teaching African singing and traditions to more than 1,000 children in two to three-month workshops and performing with them on Jazz Festivals and international conferences. For inspiration and exchange, Sonja does frequent study tours to West and South Africa, often combined with workshops at local schools, universities or also at Goethe Institutes. In 2015, she was invited by Johannesburg-based Center for Young Talent in Music & Film “Under Joburg Skies” to lead a singing workshop and perform with South African musicians and singers on the project launch event.